THE UNITED MACEDONIAN DIASPORA (UMD) IS PROUD TO ANNOUNCE THE FOURTH ANNUAL MACEDONIAN DIASPORA’S 40 UNDER 40 LIST. For the fourth year in a row, UMD is congratulating and recognizing forty Macedonian leaders that have excelled in their respective fields, endorsing them as role models for our community’s heritage and cultural values. The fourth annual 40 Under 40 List is built through a process of nominations, in which the final honorees are chosen by a selection committee. 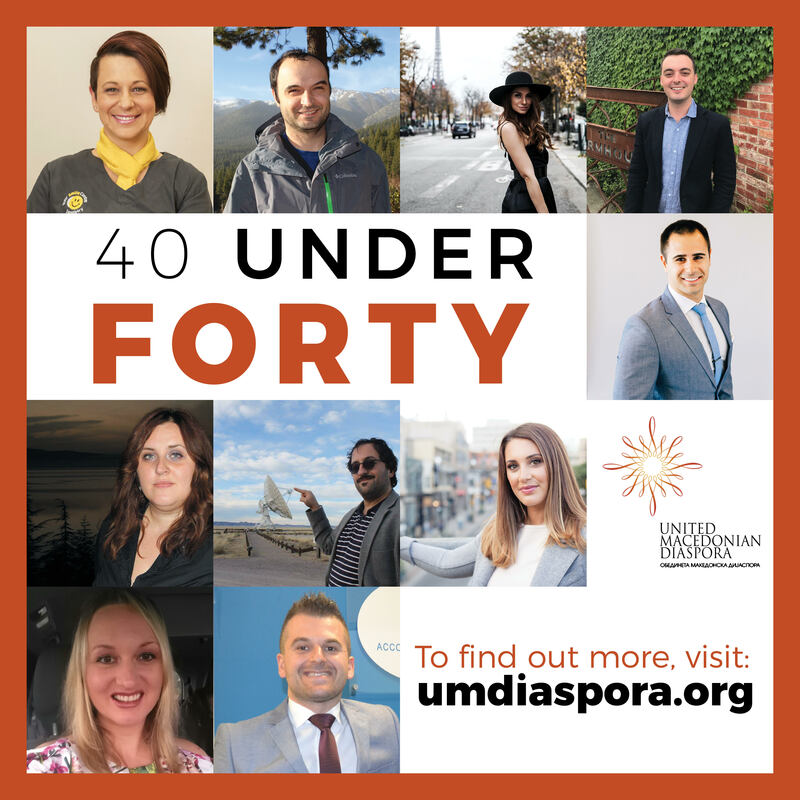 The UMD Macedonian Diaspora 40 Under 40 list was launched in 2014 to celebrate the accomplishments of Macedonian role models. UMD will be releasing honorees in increments of 10 to allow for proper recognition of each honoree’s achievements. UMD plans to recognize the honorees at an event this year. UMD hopes this program will recognize the achievements of the honorees, encourage them to continue positively impacting the world in their respective careers, promote the Macedonian culture and continue contributing to the global Macedonian community. Our Macedonian heritage brings with it a very conservative, moral upbringing and a strong focus on education and lifelong learning. My parents, with a background in the education sector, always told me to be independent in thought and in deed. They supported me in my decision to become a dentist, as I have always wanted to help others. Our Macedonian values also tell us to be kind and respectful to others, always offering a helping hand and planning for the future. I am most proud to be Macedonian because our culture has given me values that transcend international borders and are applicable anywhere in the world. I would not be the person I am today if it weren’t for my Macedonian upbringing. The highlight of our culture is our focus on family values, love, and spending quality time with neighbors, friends and relatives. Our education system maintains these values and gives us a backbone which we build on throughout life. Dr. Snezana Obetkovska-Galic was born in the United States near Chicago in Merrillville, Indiana, and is the daughter of Josif and Mirjana Obetkovski from Capari and Nospal near Bitola in Macedonia. Dr. Snezana always knew she wanted to be a Pharmacist from a young age. Her great desire and passion for helping people and family, love of science classes, and interest in health and various disease states drove her to promote health and wellness in her community. 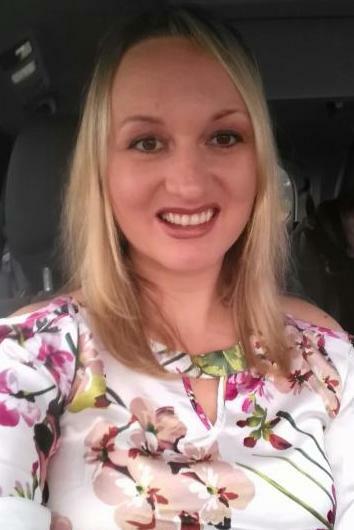 As a graduate in the top five percent of her high school class, she continued her education at Purdue University to receive her Bachelor of Science and Doctor of Pharmacy degree. A member of several national pharmacy organizations, a volunteer at local hospitals, a health coach, and a retail pharmacist for fifteen years, Dr. Snezana finds her career rewarding due to the impact that she has on her patients’ lives helping to improve their quality of life. Dr. Snezana is married to her college sweetheart, Aleksandar, who is also a pharmacist, and had 3 children in 3.5 years. Zana Mirjana (5), Aleksandar Spiro (3), and Andon Josif (2). 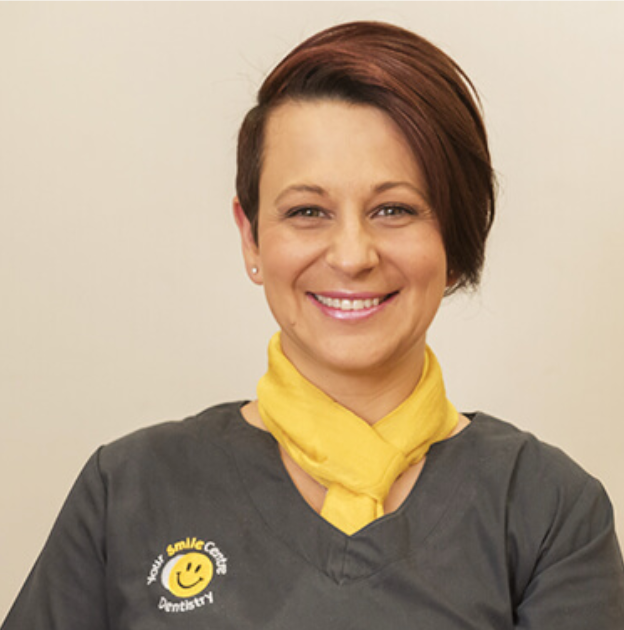 When she is not working at the pharmacy, Dr. Snezana loves to spend time with her family, travel, and read. Born and raised in the United States with a Macedonian heritage has instilled a strong work ethic and determination within me and has taught me values, such as compassion, open-mindedness, non-judgmental character, respect and acceptance of different cultures, beliefs, and backgrounds. I admire my parents, immigrants to the United States who taught me to appreciate the value of a dollar and that hard work, education, character, and family values are the keys to success. My lifelong ambition, dedication, strong work ethic, and Macedonian background have allowed me to excel in my career and become an excellent, empathetic, and well-rounded healthcare professional that works directly with the public and makes a difference. I enjoy seeing the impact that I have, as a pharmacist, on the quality of care our patients receive. Educating and counseling patients in the community, from babies to the elderly, about their medications and how to manage their chronic diseases or short term ailments. I am proud to have provided life-saving immunizations to hundreds, maybe thousands, of patients to protect them from pneumonia, shingles, influenza, hepatitis, and others. My Macedonian heritage, culture, and values make me so proud and I instill these in my children daily. My husband and I speak Macedonian at home to our three children, celebrate Orthodox holidays and traditions, prepare traditional Macedonian dishes, and visit our extended family in Macedonia. My advice to the next generation of young Macedonians is to never forget where you came from. Respect your roots. Appreciate those in your life that have made it all possible through their hard work and sacrifice. Live a passionate life, work hard, eat healthy, exercise, and don’t forget to have fun. Remember at the end of the day your family is priceless, your time is gold, and your health is wealth. Vladimir is currently a Staff Software Engineer at Google. He is leading teams in building machine learning-based systems to fight fraud in Google products. Prior to that, he was on the Identity Team building authentication infrastructure for Google users. Before joining Google, Vladimir was an Application Architect at the Novartis Institutes for Biomedical Research and Senior Member of Technical Staff at Oracle. Vladimir obtained his PhD degree in Computer Science from the University of Maryland at age 26. As part of his graduate research, he developed novel applications of semantic web technologies for the fields of security and access control. Growing up in Macedonia, I learned to be persistent and resourceful, which helped me to achieve my goals in life. As a child, I grew up in an environment where my interest in STEM was encouraged. Through hard work, I was able to advance academically and journey outside of Macedonia, pursuing a PhD at one of the top research universities in the U.S. Living in the U.S. for over 10 years has taught me the importance of my Macedonian heritage, and I plan to teach those values to my children. Coming from Ohrid, I am proud of the beautiful natural landscapes and rich history that our country offers. I make a point to take my family, including my children who were born in the U.S., back every summer so they can improve their Macedonian language skills and learn more about their heritage. If you work hard, opportunities will present themselves. When they do, remember: early in your career, optimize for learning and growth – the money will follow. Finally, don’t be afraid to take risks, especially when you are young. Stefan was born and raised in Melbourne, Australia. 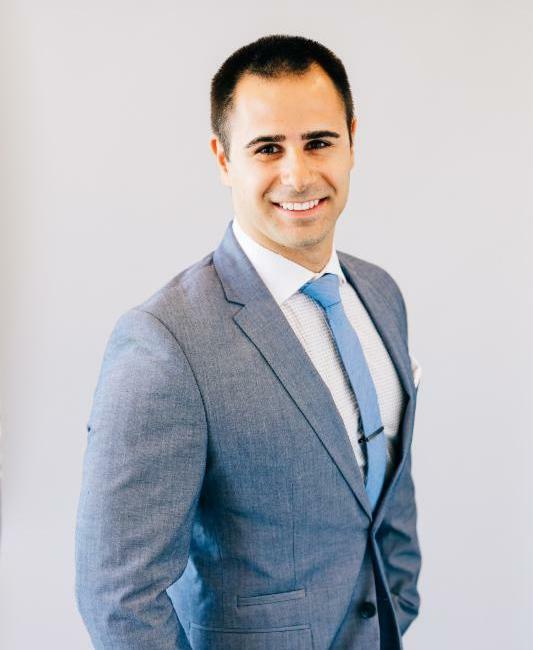 He graduated from Melbourne Medical School in 2017, having previously completed his undergraduate studies at the University of Melbourne, where he earned Dean’s list honors. 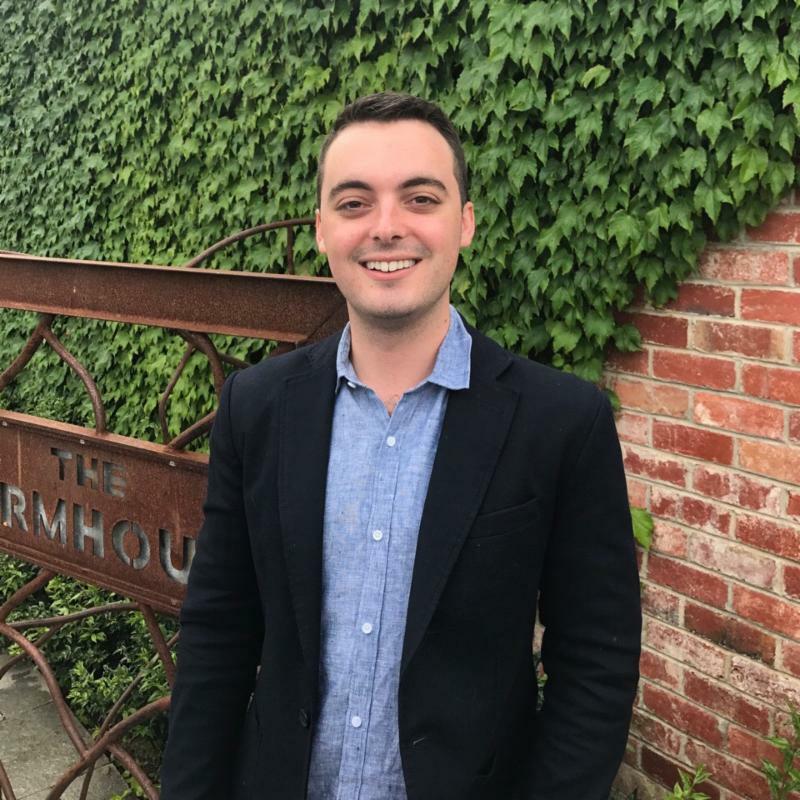 During medical school, he received a scholarship through the John Flynn Placement Program, allowing him to experience healthcare in rural Australia. Stefan also is a proud recipient of the 2015 UMD John L. N. Bitove, C.M. Macedonian Heritage Scholarship Award (UMD Bitove Scholarship). He also received the Sir John Eccles Summer Vacation Research Scholarship during his university studies, which gave him invaluable experience in a laboratory. In addition, Stefan has completed research in clinical endocrinology, having presented his research findings at the Annual Scientific Meeting of the Endocrine Society of Australia in 2017. In his final year of medical school, Stefan completed a clinical elective at St. Michael’s Hospital in Toronto, Canada, which he thoroughly enjoyed. Stefan is currently completing an internship at Ballarat Hospital and aims to pursue specialist training in the years ahead. Being inspired by his paternal Dedo’s endless devotion and commitment to the local Macedonian community and his maternal Dedo’s journey of lifelong study and teaching, Stefan founded the Macedonian Youth Initiative in 2012. The initiative, based at the St. Dimitrij Solunski Macedonian Orthodox Church in Melbourne’s southeast, aims to guide young Macedonians with their educational needs, as well as foster leadership skills. Stefan led the youth group in its first two years, when fundraising efforts culminated in the building of classrooms on the church premises which would be used for homework sessions organized by the group. Now in its sixth year, the initiative continues to thrive, bringing together young Macedonians in an educational and social setting. My Macedonian heritage has influenced my life and profession by defining my moral compass. The values of family, hard work, and resolute persistence have guided me throughout my life, including in my commitment to the health of my patients. I am most proud to be Macedonian because of the perseverance of our people throughout history, particularly over the last century and a half. Additionally, the love my family and friends have for their Macedonian culture inspires me every day. A highlight of our culture is its emphasis on family; the large gatherings for Orthodox Christmas, Easter, and name days are my favorite times of the year. My advice for the next generation of young Macedonians is simple: you can achieve anything. Do not put limits on your potential or allow others to do so. Our ancestors lived through more difficult periods of history, through occupation, colonization, and authoritarian regimes, where they were discriminated against and persecuted based on their ethnicity, religion and language. The opportunities that we have today are limitless, so make the most of them. Stojce started his career at Toys and Babies R Us as an Operations Manager. Following this, he became in charge of starting their College Recruitment Program for Management Trainees in Arizona. He is a reliable, discreet professional and an ethical executive search consultant with established relationships. Part of Stojce’s success comes from his thorough understanding of his client company’s culture and matching the candidate chemistry. He has a strong pulse on the ever-changing subtleties of the marketplace and believes in sharing this industry information with both his clients and candidates. This arsenal of up-to-date information allows him to make thoughtful business and career decisions. Stojce holds multiple recruitment awards, including Rookie of the Year (Best Rookie year in the history of Govig & Associates), a 3-times Pacesetter Honoree during his 3 years tenure with the company and two MRI Top 1% Account Executive (among 3,000+) awards. In his personal time, Stojce enjoys extreme sports, riding motorcycles, volunteering at Arizonans for Children (Forster Care Organization) and spending time with his family and friends. Due to my Macedonian heritage I bring a very unique set of values into my profession. I’m able to go beneath the surface and truly understand what people and companies need and want. Being a Macedonian means a lot to me. I was raised in a society where people would do anything they can to help each other. There is an old saying, “what goes around, comes around” and I live by it. This value has helped me create long lasting relationships in a world where everything is transactional. My advice for the next generation of young Macedonians is to always remember where you came from. Diversity is what makes this world great. The most important brand is your personal one. Your reputation for integrity in your personal and business dealings follow you wherever you go. Find an experienced mentor that can help you build a personal brand that you and your family are proud of. 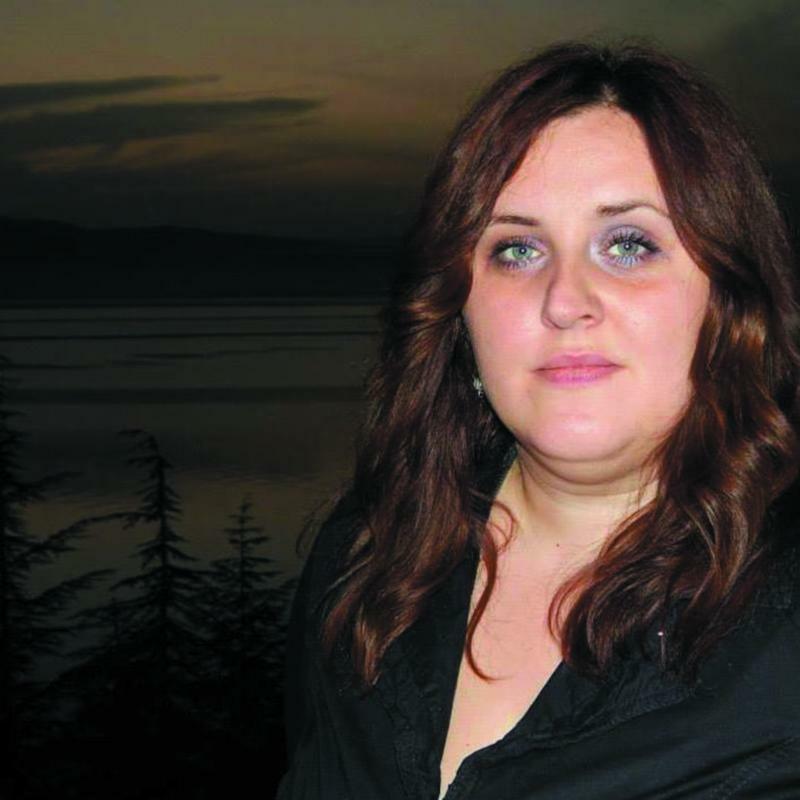 Rahilka – Lili Mitrović – was born and raised in Macedonia, Skopje. Lili’s mother is from Kavadarci and her father from Skopje. She began her career as a fashion Influencer and the owner of the highly successful, rapidly growing Instagram account Amolusso (https://www.instagram.com/amolusso) as well as a personal blog Amolusso.com. Lili received two degrees while in school. Her first is Fashion Design studying in Milan, Italy, the second is Business and Marketing while studying in Belgrade, Serbia. She continues to reside in Belgrade with her husband and two beautiful children. In addition, she is the Designer behind the bridal and evening gown label Amo Lusso Atelier. Lili is currently focusing on her Atelier as well as preparing to launch her online Atelier with a ready to wear collection. She takes immense pride in her Macedonian origins and is continuously inspired by her heritage. The sunny, beautiful Macedonian weather is something I’ve adored my entire life. The sun is actually the most recognized symbol of Macedonia. Everywhere I go, I tend to bring sunshine and warmness with me; into my home, into my bridal designs, and my work. Macedonia has taught me to always live life with a positive attitude and outlook. The people of Macedonia are always so kind. They speak with you filled with love, and share the joy within themselves everywhere they go. I would highlight our Orthodox religion, our unforgettable natural resources and long tradition and history! Macedonia is such a small country, but has it all! Macedonians should be very proud of themselves. The history of Macedonia is in our blood. Their success is predetermined. You can be and do whatever you want with your life! My advice is to give love back to Macedonia. Work hard and invest in our country, whether you work in Macedonia or abroad. Zorica was born and raised in Belgrade. Her mother comes from a small but well-known town in Macedonia – Demir Hisar. Throughout her life, Zorica’s late Uncle Jane Angelevski has had the greatest influence on her life and national commitment, since she is a child from a mixed marriage. Some of her happiest memories are from Summers in Macedonia spent with her grandparents, cousins and friends, listening to Macedonian music and watching Macedonian national tales, which helped her to master the Macedonian language. In that respect, Zorica’s Macedonian heritage has made her the person that she is today. Since 2010, she has been actively involved in the activities of the Macedonian National Community in Serbia. In 2011, she was awarded the Best Promoter of Macedonia Award in the category of Goodwill Diplomacy, for outstanding achievements and dedication in promotion of the Republic of Macedonia and Macedonian causes and heritage. In 2012, she was one of the participants in a school for young leaders of the President of the Republic of Macedonia, Gjorge Ivanov. Zorica is also the founder of the Forum of Young Macedonians, an organization that successfully organizes and affirms young Macedonians in Serbia, and a member of the board of “Makedonium,” the Macedonian association in Belgrade. Since 2014, she has been actively involved with the National Council of Macedonian National Minorities in Serbia, as a spokeswoman, and since 2016 as a general secretary. Along with her colleagues and President Borce Velickovski, she is committed to the exercise of the rights of Macedonians in Serbia in the fields of education, information, culture and the official use of Macedonian language and scripts. Her passion has truly become her profession. She is immensely happy, she enjoys it, and she always tries to achieve the best possible results. There is much to be proud of when it comes to Macedonian culture. I love Macedonian music so much that my heart knocks in 7/8 rhythm. Likewise, the literature of Petre Andreevski is so strong and simple, warm and exciting, incoherent and magical, just as Macedonia is. It has given me a sense of identity throughout my life. It has instilled a deep passion in me for living life to its fullest through my work, family, friends, and travel. It is my guiding force and a place where I find confidence. My advice for the next generation of Macedonians is to build their careers on their strengths. Invest time in discovering your strengths and passions before deciding on a career. Never forget who you are and where you come from; celebrate and instill our heritage, ancient culture, and unique traditions in everyday life experiences. With Macedonian values that highlight fairness, education, courage, care, love, loyalty, respect, warmth, hospitality, honesty, determination, and persistence, your dreams can become reality. Let the Macedonian sun always illuminate your lives and be a guide for gentle feelings and deeds. Natasha is a Canadian businesswoman born in Toronto. As a third-generation businesswoman, Natasha learned the qualities of entrepreneurship and a strong work ethic from a young age. Along with her brother, Luca, she is the Co-Founder of Urban Blueprint, a company specializing in design, construction, and décor. She is also part of the Debbie Penzo Team, led by her mother, Debbie Penzo, which specializes in residential real estate. By integrating these two businesses, Natasha’s family business places all the necessary resources to remodel a home, sell it, and buy or build a new one, in one place. 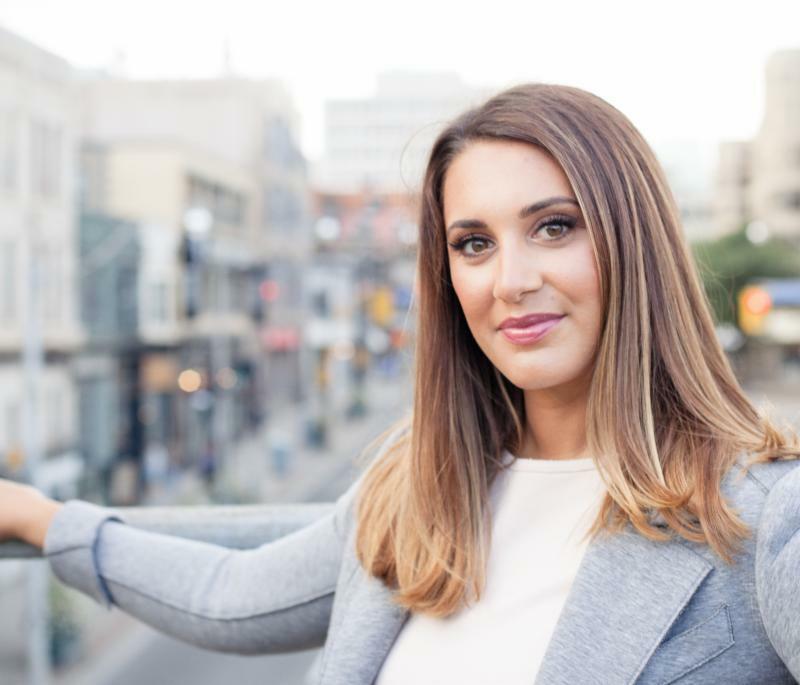 Natasha earned her MBA in finance and entrepreneurship from Schulich School of Business at York University and her HBA from University of Toronto. In 2017, her company, Urban Blueprint, was ranked 23rd in Canadian Business and Maclean’s Magazine’s list of Canada’s top new growth companies. Natasha lives in downtown Toronto with her husband, Graeme, her son, Jack, and her dog, Auggie. The Macedonian community is very hard-working, as well as collaborative and community-oriented. All successful Macedonians living in Toronto and North America inspire me personally and professionally through their persistence and determination. I have also been fortunate in that I have been able to have such amazing entrepreneurs as role models throughout my entire life, such as my grandparents and parents. On one side, my grandparents came to Canada from Macedonia, and on the other, from Italy. In my eyes, there is nothing more entrepreneurial than redirecting your family and life to a new country. I am proud of the Macedonian community and how collaborative it is. Macedonians are very supportive of each other. In particular, some highlights of the community are family, cooking, music, culture, and dancing. Macedonians truly live by the motto: work hard, play hard. My advice for young Macedonians would be that everything in life is earned not given. Keep working toward your dreams. The journey is the exciting part, so embrace it. Aleksandar was born in the city of Bitola in 1978. His father was born in the village of Gorno Kotori near Lerin (today bearing the names of Ano Idrusa and Florina respectively) in what is today Republic of Greece and my mother in the village of Zhivojno (near Bitola). Raised in Bitola, he went on to study Electrical Engineering at the Faculty of Electrical Engineering, Sts. Cyril and Methodius University in the capitol, Skopje. 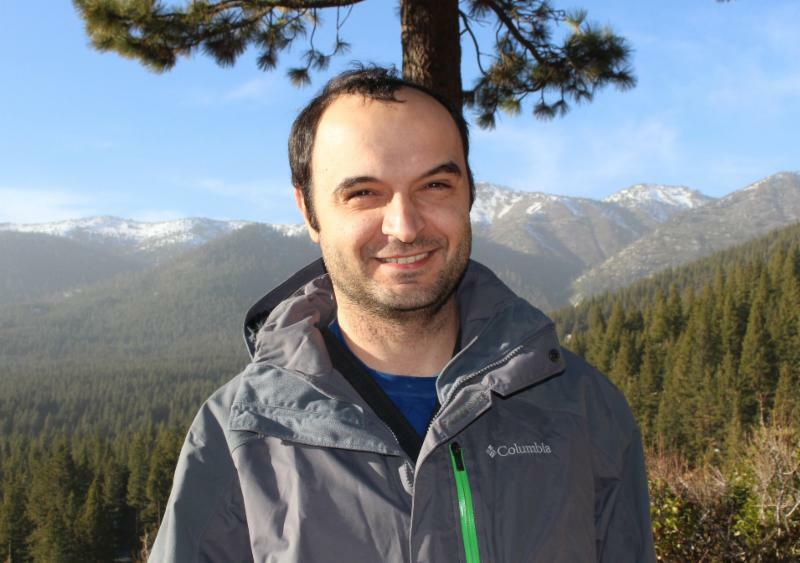 After started working in the fast developing ICT startup ”Interworks” (now Intersoft) in Bitola, he enrolled in the graduate studies program focused on image processing techniques. During his formative years, Aleksandar was extremely interested and involved in astronomy, even though the opportunities in Bitola were very scarce. Thanks to the support and mentorship of his physics teacher at the time, he held intro astronomy lectures for elementary school students, and was one of the founding members of the municipal astronomical society (founded in 1996 in Bitola). Aleksandar’s interest in the science of astronomy did not wane. During his studies he sat for and passed the SAT graduate exams, applied and was accepted for admittance into the astrophysics studies of the MIT, Cornell and Caltech universities. However, he did not hold any scholarships and could not afford to continue his education there. Aleksandar was admitted to the studies of astronomy at Leiden University in the Netherlands. He obtained his BSc (2008) and MSc (2010) degrees there, enrolled and completed the PhD studies in astronomy at Groningen University in the Netherlands (2015). 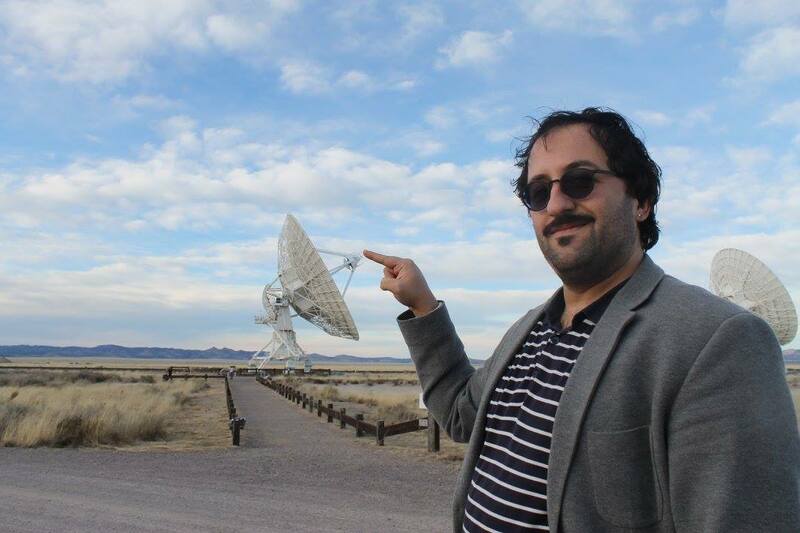 Since then, he have worked as a telescope scientist and researcher at the Netherlands Institute for Radio Astronomy (ASTRON), and currently is a postdoctoral research scientist at the Anton Pannekoek Astronomical Institute, University of Amsterdam. His various hobbies include (starship) model making, ham radio operation, astrophotography, dabbling in guitar playing, writing poetry and prose (mostly science fiction). Aleksandar is married to his wife Jasmina and has two children, Filip and Stefani whom inspire his pursuits. The Macedonian heritage runs through my family, mostly instilling values. One of them is perseverance, which was instrumental in becoming who I am today. Also compassion, fairness and respect in combination with a sharp wit and clear judgement. Setting of priorities. I was always fascinated by the collective, folk wisdom. In there, one can find a lot of universals, applicable across the planet, but also specific in the acquired experience flourishing in turbulent times, at the crossings of very important trade and migration routes. The architecture, the leisurely and welcoming (almost to a fault) lifestyle, art and of course, ingenious ways to preserve or prepare the fruits of the earth, i.e. the local cuisine. I am proud of the fact that Macedonians have always remained rebellious and inquisitive, since antiquity, via the Bogumils, through to both Ilindens and the independence. That trait has been subdued in the modern times, but it is there as an undercurrent. It needs to be tended and not misused. My advice is to be mindful of your heritage, read a lot, educate yourselves and temper your judgement through rigorous training. Knowledge is power. Know yourself, your history but do not slave to preconceptions. Be moral, human and humane. Allow your curiosity to take you places, and listen to your inner child. Born and raised in Skopje, Macedonia, Angjelko moved to Australia as an international student at the age of 18. Angjelko’s ambitious personality made him take on as many challenges as he could and pushed himself to achieve more. He likes to say “it made him who he is today”. Angjelko is a graduate from the University of Wollongong class of 2009. He graduated with a Bachelor of Commerce majoring in Accounting and Business Law. After completing relevant experience and undertaking additional studies at the age of 28, Angjelko applied and was granted a tax agent license from the Tax Practitioners Board in Australia. 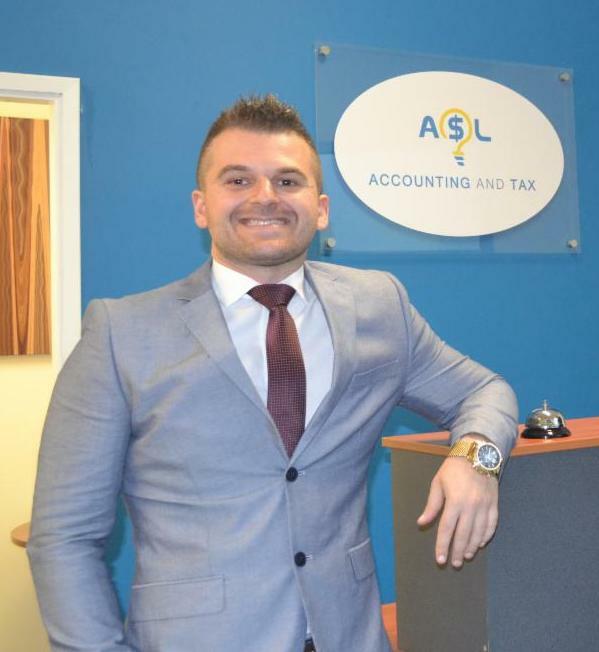 Angjelko is currently a managing director of ASL Accounting & Tax Pty Ltd. ASL Accounting & Tax is an accounting firm located in Wollongong, Australia. After spending nearly a decade working in accounting firms and private companies as an accountant. At the age of 28, Angjelko decided to take the next step and establish an accounting firm where he would be a business partner and a major shareholder. I am very proud of my Macedonian heritage and tend to learn more about our history at every opportunity that I have. In my personal and professional life, my Macedonian heritage, culture and traditions inspired in me a strong work ethic and ambition. Our history has taught us that we should be persistent and should never give up. We are Macedonians, which means we are fighters. We don’t give up when life becomes challenging. If we fall, we should simply get up and try again. I have certainly applied that principle throughout my life. Being persistent means trying again to achieve a goal that you have set. Our Macedonian history and civilization is truly fascinating and glorious. Alexander the Great is one of the most powerful leaders and unifiers in world history. I am proud to talk about our Macedonian history with my Australian friends, but most importantly to teach my children about it. We are proud of what our culture and traditions have to offer, our unconditional love to our family and friends, our language, our history, our cuisine, our music. My advice to the next generation of young Macedonians would be to think big and dream big. Set your goals and make a plan how to achieve them. Most importantly love what you do. At the same time, always remember where you came from and remember to give back to the Macedonian community.